We are almost at the end of the calendar. Only one more beer after today! I will be posting it today as well because I had meant to post this last night and then got busy with working on the launch of my new blog. Luckily it is basically ready to go! First thing I’ll be doing is moving all these posts over there. I still have the 24th beer and the final recap of what we saw in the Calendar. Once that is done then I’ll put a new post up explaining the goal of the new blog and then we will go from there. I have a back log of beers to review from my time in the Maritimes and I am excited to tell you about them. Well, what a journey: 24 beers from around the world in a variety of different styles. This process has given me a great deal of insight into brewing and breweries around the world. I feel I have learned a great deal and I respect and appreciate beer a lot more than I did before this. I certainly hope I have been able instill in some of you the same sort of sense of appreciation. Our final beer comes to us from Sound Brewery out of Washington State in the USA. Founded by Mark Hood and Brad Ginn, two seasoned home brewers, Sound Brewery began brewing in Poulsbo in February of 2011. They have been brewing some award-winning beers that are Belgian inspired as well as traditionally northwest style beers as well. 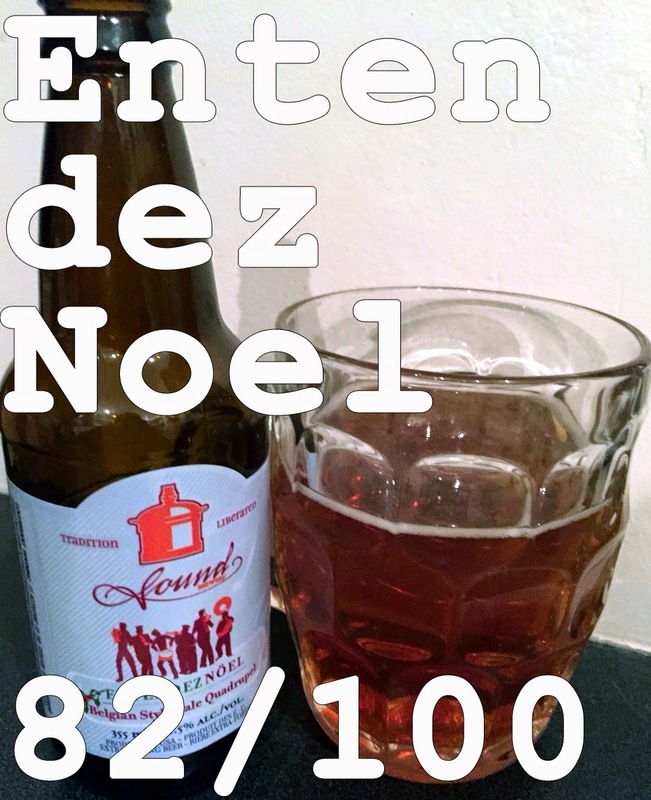 The beer that has been given to us for the very last beer of this calendar is the Entendez Noel Belgian Quadrupel. Sitting at 11.5% abv this is certainly a strong beer, bordering on a barley wine that promises to bring a good bitterness along with the warmth of malt. Sitting at 50 IBU it is certainly up there with a good hoppy IPA for bitterness and having been brewed in the Belgian style, it promises to be a strong upfront beer with lots of complexity. They’ve used Trappist yeast, Belgian Pilsner malts, cane sugar, and Motueka hops. Quardrupels are a beer that is traditionally brewed by the Trappist Monks of Belgium. Trappist Monks are renowned worldwide for their brewing abilities and rarely sell beer outside of their monasteries. My brother had the opportunity to purchase 6 beers from one of the Trappist monasteries in a very limited release (100 cases of 6 beer each) in Toronto. They were going for $100 a case, not cheap. The name represents the strength of the beer and originates from the use of X on the bottles which indicated this. So, a single would be marked with an X and indicate a weaker beer. This is the strongest beer brewed by Trappist monks and would have been marked XXXX. I’m rather excited to give it a try as it is the last beer of the Calendar. Appearance: Clear amber colouring with no head. Was concerned it was flat upon opening, luckily it just wasn’t. Smell: Lemon notes, hoppy notes, some sweet honey smell and a bit of the caramel malt. Taste: At first taste it is a light bodied, well balanced, sweet and hoppy beer with good citrus notes and some honey sweetness in there for flavor. 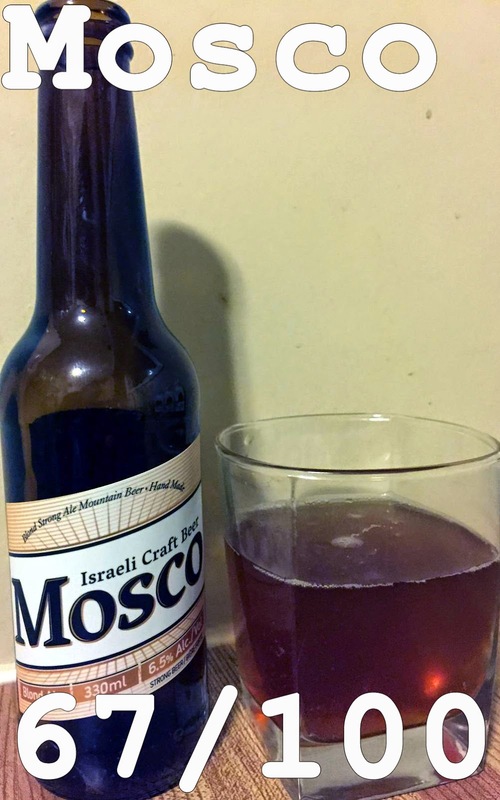 As I continued to drink the alcohol (11.5% if you remember) started to show itself making it taste like alcohol and overshadowing the other initial flavours. Mouth feel: Light body with creamy mouth feel with light carbonation. Overall: Nice, well-balance quardrupel that is better cold than warm. As it warms the alcohol comes through a lot stronger and overpowers the other flavours. They are quite nice though initially and this beer is well balanced and when I first sipped it I was surprised that I didn’t taste the alcohol. As far as quadrupels go that is a good thing and this was definitely a strong contender. Do I like it: No, I did not enjoy this beer. It was good to begin with but as I continued to drink it the alcohol came through too strong. Perhaps it is because it is such a strong beer and not my cup of tea, but it overpowered everything else for me and made it more of a chore to drink. If I drank this one again, it would be outside on a cold Winnipeg day so that the beer would stay at that initial temp. I have one more post that I will do for the Advent Calendar. I will be summing up the 24 beers we have tried indicating their styles, location, and choosing my overall favorite. In that post I will also be officially launching my new blog as I should have everything finalized and organized. I hope that you will continue to follow along as I blog about beer both reviews and news.